Not so much a useful blog post, more me saving this occasion to this depository. If it is saved here it’s here for as long as I am!! 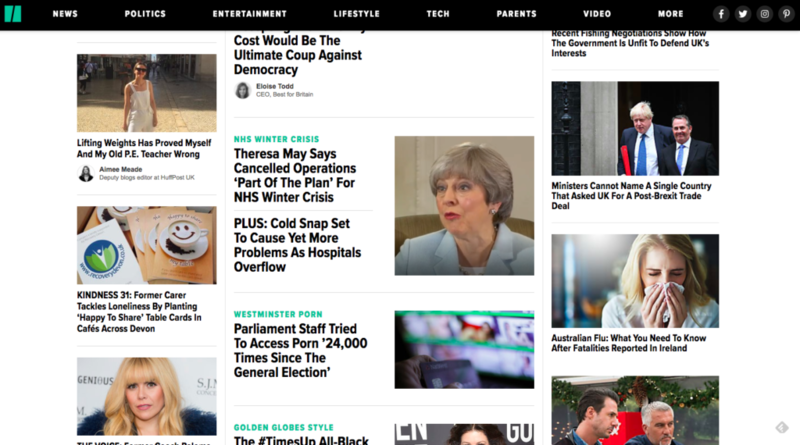 It is not every day an article about something I have designed and developed shares the same screen space as Theresa May, Boris Johnstone and Paul Hollywood. The journalist, Natasha Hinde, did me proud and although the reporting wasn’t 100% accurate on all items I have to account for some creative licence. There are 3.6 million older people in the UK who live alone. A staggering 1.9 million often feel ignored or invisible, according to Age UK. This is not only heartbreaking but also dangerous considering loneliness can be as harmful to health as smoking 15 cigarettes a day. One woman is refusing to ignore the epidemic and has come up with the simplest of ideas to tackle the issue. Caron Sprake, from Exmouth, designed and printed cards for people to put on their tables to break down those initial communication barriers and encourage others to sit with them and chat. 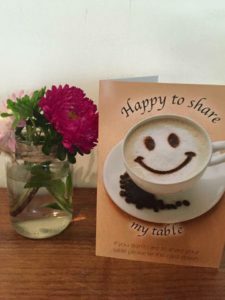 The ‘Happy To Share’ cards are mostly dotted around restaurants and cafés in Devon. However it’s not unheard of for them to be found across the rest of the UK – and even internationally. “The inspiration behind the cards was my observation of people sat alone at tables in various local establishments,” Caron told HuffPost UK. 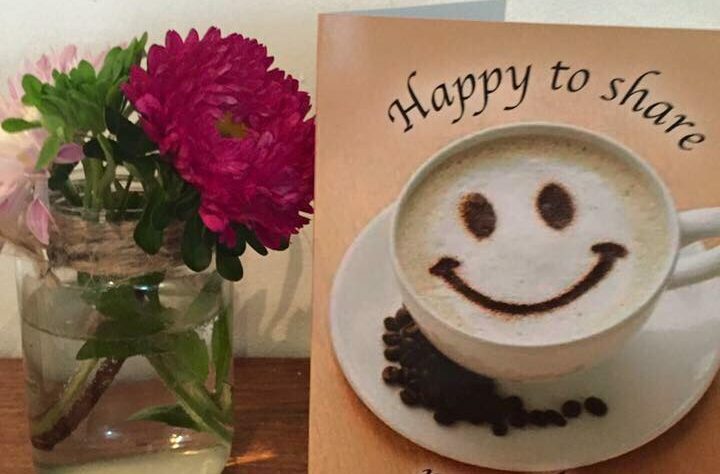 CARON SPRAKEThe ‘Happy To Share’ cards are helping tackle loneliness, one table at a time. Caron designed the cards and pitched them to a local charity which was looking to fund ideas helping people with their mental wellbeing in Devon. The charity loved the idea and granted her £450 to print her first batch of cards. Thanks to the help of a local printing company, Caron was able to print the first batch of 5,000 for free. She then used the money from the charity to print more and laminated them to make them durable. The cards are having a positive impact too. One woman got in touch with Caron after using them. “I stood it up on the table and someone came to sit with me and we ended up chatting,” she said. Caron, who has worked with elderly people for 23 years, knows all about the challenges and isolation they face and has witnessed some unimaginable things during her time working in care. “I have seen a relative be cruel and rude to an elderly woman and push her back onto her bed,” she recalled. Despite stepping away from the care industry, Caron still devotes much of her time to helping the elderly and writes a blog, called Caron Cares, which offers support and advice for people caring for the elderly or people with dementia. “My blog came about as a result of caring for my blind and disabled mother-in-law for 20 years whilst raising a family and working,” she explained. Caron has created cards for people with dementia so that if they get lost they can be helped and directed back to their homes. She designed cards for carers to use to discreetly explain that the person they are with has dementia. She has also designed, made and distributed “lost for words” sheets to help people who struggle to communicate due to illness. And all of the cards are free to use. She now wants to see a collaboration of charities and agencies taking on the ‘Happy To Share’ cards and rolling them out nationwide. “It is an incredibly affordable suggestion for a solution to loneliness,” she added. This was part of the Kindness 31 project, a month of sharing lovely ideas and people doing positive things to help others as an antidote to the anticlimax after Christmas and New Year celebrations.